One of thousands conferences. Whats worth attending? 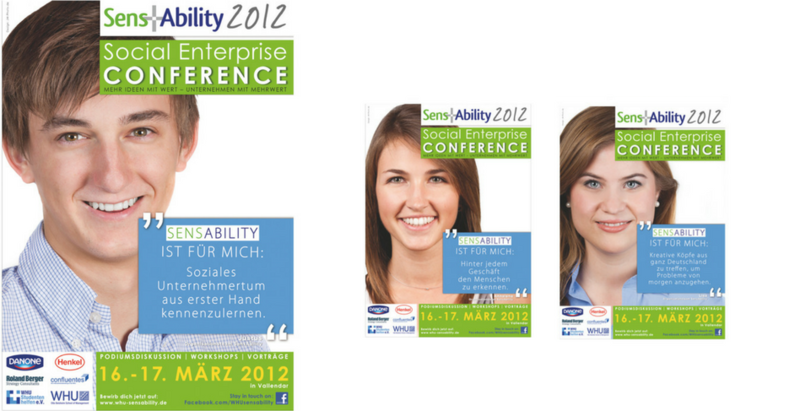 Speakers as like attendees need to get convinced SensAbility is the best social entrepreneur conference and worth to travel hundreds of kilometers to a tiny village called Vallendar where WHU’s Business School campus is located. In like minded people we trust. Those like minded people are the SensAbility organization team member – sharing their personal opinion about SensAbility gained trust and was social proof for an outstanding and proud team who are willing to bend back and forth to let the conference be a valuable experience. The motivation spread and the tickets were sold in under 4 days.